Yesterday morning we went to our local toddler group for the first time since before the summer holidays. At first I felt a bit strange and couldn&apos;t understand why and then I suddenly realised that it was because Totsy is not the tag along anymore, she is the reason we were there! Tinker is usually the one who defines what we do at toddler group, a bundle of energy flitting from one activity to another in a blur and calling over her shoulder for us to follow her. But yesterday Totsy was the one taking my hand and gently pulling me over to where she wanted to go. It was fascinating to see she was much less interested in the &apos;small world&apos; toys like the dolls house and the kitchen that we would usually play with and instead favoured the more active toys like the slide, rocker and trampoline. I feel guilty that I wouldn&apos;t have really been able to say what she would choose to play with on previous visits, Tinker would be wanting to do some drawing or play with the kitchen and so me and Totsy would do that too. Totsy has always been such an easy going little one that it has been easy to let Tinker lead the way while Totsy just fitted in around her. But no more! Tuesdays and Wednesdays are my treasured days at home, the days when from now on it will just be me and my littlest. Of course later I will be dragging her along on the school run before going straight to Tinker&apos;s gymnastics class, so her days as a tag along are not completely done. But this morning, we have sung songs, done silly dancing, read stories and done some drawing (baby wipes do get crayon off our new coffee table and our wooden floor in case you were wondering). She is at such a great age, changing all the time, her communication skills are improving every day and her personality (happy, calm, easygoing but with just the right amount of feisty to show she&apos;s no pushover) is really shining through with her mischievous little grin brightening up our day. It&apos;s not that I&apos;ve not noticed all these things before now because of course I have. 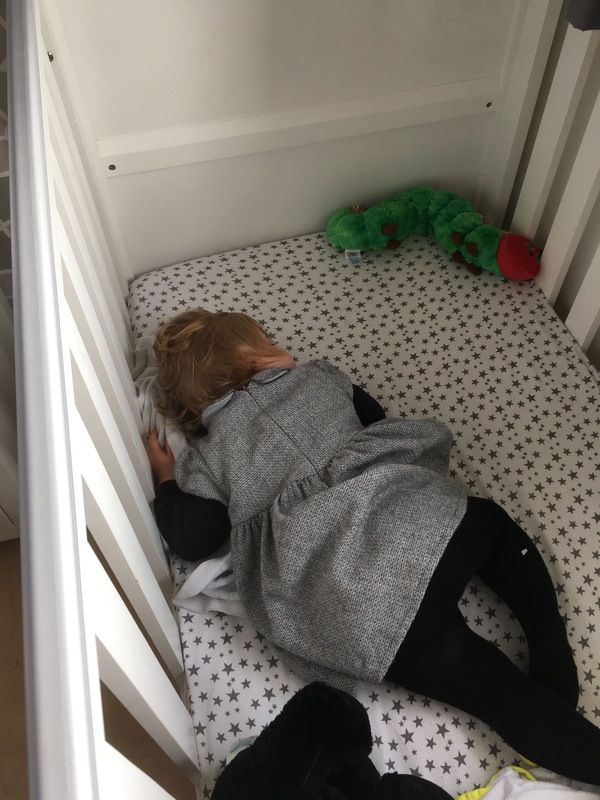 But recently I&apos;ve focussed so much on making memories in Tinker&apos;s last few weeks and months before starting school (which I dreaded so much) that I had not thought about the upside of her being at school. That now Totsy really has chance to take centre stage. Tags: Toddler, Youngest sibling. Bookmark the permalink. Previous post ← Our little schoolgirl!